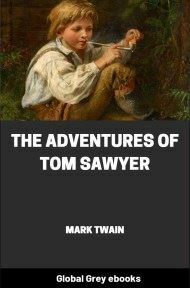 Fully illustrated, this classic by Mark Twain follows the story of Colonel Sellers, a somewhat eccentric old chap who believes that the son of an Earl has been killed in a fire. Collecting the ashes, he has an idea to send the ashes to the Earl bit by bit so as to break the news gently. His other plans, however, are even wilder. He believes he can 'materialise' dead people. He attempts to do this with the Earl's son. The Earl's son is actually alive and well and just happens to pass by the Colonel's house when Sellers tries to materialise his 'dead body'. 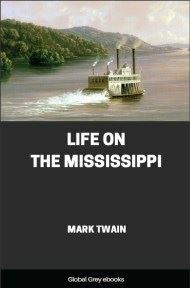 This is one of Twain's lesser known works but it has all of his wit. Extremely funny in places, it's essentially a story about mistaken identities. It is a matchless morning in rural England. On a fair hill we see a majestic pile, the ivied walls and towers of Cholmondeley Castle, huge relic and witness of the baronial grandeurs of the Middle Ages. This is one of the seats of the Earl of Rossmore, K. G. G. C. B. K. C. M. G., etc., etc., etc., etc., etc., who possesses twenty-two thousand acres of English land, owns a parish in London with two thousand houses on its lease-roll, and struggles comfortably along on an income of two hundred thousand pounds a year. The father and founder of this proud old line was William the Conqueror his very self; the mother of it was not inventoried in history by name, she being merely a random episode and inconsequential, like the tanner's daughter of Falaise. In a breakfast room of the castle on this breezy fine morning there are two persons and the cooling remains of a deserted meal. One of these persons is the old lord, tall, erect, square-shouldered, white-haired, stern-browed, a man who shows character in every feature, attitude, and movement, and carries his seventy years as easily as most men carry fifty. The other person is his only son and heir, a dreamy-eyed young fellow, who looks about twenty-six but is nearer thirty. Candor, kindliness, honesty, sincerity, simplicity, modesty—it is easy to see that these are cardinal traits of his character; and so when you have clothed him in the formidable components of his name, you somehow seem to be contemplating a lamb in armor: his name and style being the Honourable Kirkcudbright Llanover Marjoribanks Sellers Viscount-Berkeley, of Cholmondeley Castle, Warwickshire. (Pronounced K'koobry Thlanover Marshbanks Sellers Vycount Barkly, of Chumly Castle, Warrikshr.) He is standing by a great window, in an attitude suggestive of respectful attention to what his father is saying and equally respectful dissent from the positions and arguments offered. The father walks the floor as he talks, and his talk shows that his temper is away up toward summer heat. "Soft-spirited as you are, Berkeley, I am quite aware that when you have once made up your mind to do a thing which your ideas of honor and justice require you to do, argument and reason are (for the time being,) wasted upon you—yes, and ridicule; persuasion, supplication, and command as well. To my mind—"
"Father, if you will look at it without prejudice, without passion, you must concede that I am not doing a rash thing, a thoughtless, wilful thing, with nothing substantial behind it to justify it. I did not create the American claimant to the earldom of Rossmore; I did not hunt for him, did not find him, did not obtrude him upon your notice. 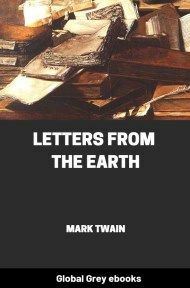 He found himself, he injected himself into our lives—" "And has made mine a purgatory for ten years with his tiresome letters, his wordy reasonings, his acres of tedious evidence,—"
"Which you would never read, would never consent to read. Yet in common fairness he was entitled to a hearing. That hearing would either prove he was the rightful earl—in which case our course would be plain—or it would prove that he wasn't—in which case our course would be equally plain. I have read his evidences, my lord. I have conned them well, studied them patiently and thoroughly. The chain seems to be complete, no important link wanting. I believe he is the rightful earl." "And I a usurper—a—nameless pauper, a tramp! Consider what you are saying, sir." "Father, if he is the rightful earl, would you, could you—that fact being established—consent to keep his titles and his properties from him a day, an hour, a minute?" "You are talking nonsense—nonsense—lurid idiocy! Now, listen to me. I will make a confession—if you wish to call it by that name. I did not read those evidences because I had no occasion to—I was made familiar with them in the time of this claimant's father and of my own father forty years ago. This fellow's predecessors have kept mine more or less familiar with them for close upon a hundred and fifty years. 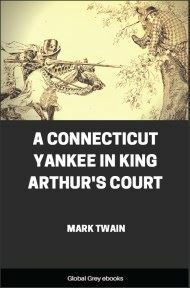 The truth is, the rightful heir did go to America, with the Fairfax heir or about the same time—but disappeared—somewhere in the wilds of Virginia, got married, and began to breed savages for the Claimant market; wrote no letters home; was supposed to be dead; his younger brother softly took possession; presently the American did die, and straightway his eldest product put in his claim—by letter—letter still in existence—and died before the uncle in-possession found time—or maybe inclination—to—answer. The infant son of that eldest product grew up—long interval, you see—and he took to writing letters and furnishing evidences. Well, successor after successor has done the same, down to the present idiot. 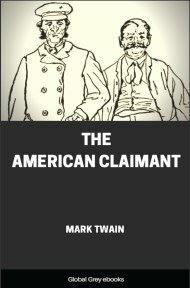 It was a succession of paupers; not one of them was ever able to pay his passage to England or institute suit. The Fairfaxes kept their lordship alive, and so they have never lost it to this day, although they live in Maryland; their friend lost his by his own neglect. You perceive now, that the facts in this case bring us to precisely this result: morally the American tramp is rightful earl of Rossmore; legally he has no more right than his dog. There now—are you satisfied?"